What is the first thing that comes to mind when you think of South America? For me it’s things like; Tango in Buenos Aires, the mighty Amazon, breathtaking Machu Picchu, Iguazu Falls, friendly people with a passion for life……and the list goes on. Each country on this continent is unique and will give you as a traveler a completely different experience but whether you visit the magical sites of Peru or join in the celebrations of the Carnival in Rio, you are sure to be in for a treat and the experience of a life time. South America is often overlooked as a travel destination as it can seem a bit overwhelming when it comes to creating a perfect itinerary with so many amazing choices. This is where we can help and where we shine. We can create a journey just for you, one that will reflect the hopes and dreams you have for a trip. 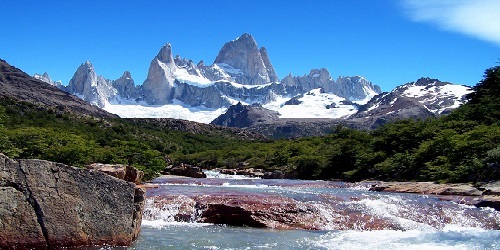 Check out one of the itineraries we have put together for a memorable trip to Argentina below! 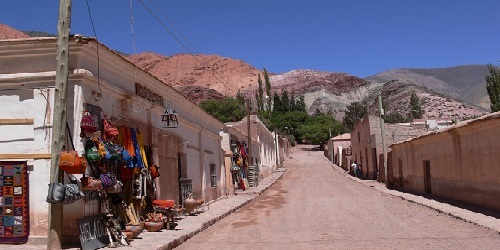 This itinerary will give you an unforgettable journey to some of the most breathtaking sites in Argentina as well as give you an authentic experience of its colorful culture and history. Upon arrival at EZEIZA International airport & after clearing the mandatory Argentina Immigration & Customs procedures you will be met & then by way of a private air-conditioned vehicle, transfered to your confirmed centrally located city hotel in Buenos Aires. This morning after breakfast you will be picked up from your hotel to embark on a 3 hour regular Buenos Aires historic city sightseeing excursion. 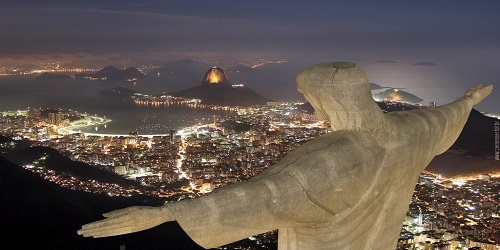 Sense, feel & soak up the emotions & ambiance of South America’s most glittering capital city. Take in all the major plazas: Plaza San Martin, Plaza 25 de Mayo, Plaza Congreso & Plaza San Martin; traverse the major boulevards & avenues: Av. Corrientes, Av. Cordoba, Av. 9 de Julio, Av. 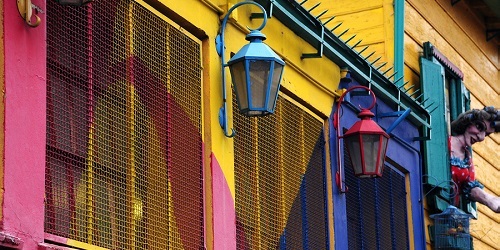 Callao & Av Libertador; visit the historic districts of San Telmo, La Boca, Montserrat, Once, Recoleta, Puerto Madero & the elegant neighbourhoods´ of Palermo & Belgrano. 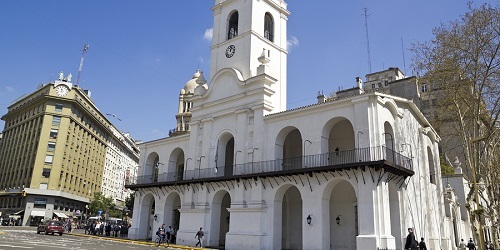 You’ll see the historic civic buildings, fountains & monuments for which this city stands out: Pause in Plaza 25 de Mayo at the Presidential Palace – Casa Rosada, the reverence within Buenos Aires Cathedral, the famous Cabildo & the iconic Obelisco, all the while gaining a knowledge & education through the descriptions & in-depth commentary provided by your local expert bi-lingual English speaking guide. At the conclusion of the morning’s historic sightseeing excursion you will be returned to your city hotel, where the afternoon is free of any pre-arranged activity, therefore giving you free reign & your own timetable for the remainder of the day. This is your chance to strike out on your own & explore Buenos Aires as today is free of any pre-organized activities, until this evening. After breakfast if you want to shop or just browse, we suggest the many boutiques that are on both sides of Avenida Santa Fe, or down Calle Florida a famous pedestrian shopping street & Galeria Pacifico in the central city. Whatever you decide to do today, please be sure to be back at your hotel, dressed in smart casual attire in time to be picked up shortly before 8.00pm for an evening of traditional charm & romance. Tango is the trademark dance & rhythm of Argentina. There is no better place to be exposed to this sensational pulse than at a dinner & tango show, with professional tango musicians, singers & the best of tango dance couples. Dinner includes appetizers, various choices of a main course, deserts, accompanied by with fine local red & white vintages of wine, local beers & soft drinks, then tea & coffee, should you wish. This is an evening that will captivate & live on with you as the essence of not only Tango, but Buenos Aires itself. You will not be returned to your city hotel until approaching midnight, where no doubt sleep will come easily. After an early breakfast & check out from your hotel, you will be picked up & by private air-conditioned vehicle transferred to Buenos Aires Jorge Newbery Aeroparque airport to check in for a flight to El Calafate. This is a 3hr35min flight sector, with a snack & beverage service en-route. Upon arrival to El Calafate, you will be met outside the luggage claim & by private air-conditioned vehicle transferred to your confirmed hotel. 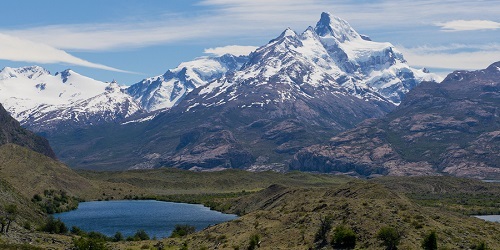 Accommodation here for three (3) nights in El Calafate with breakfast & local tax included. This morning you’ll wake up early & have breakfast as you will be picked up at the hotel to embark on a regular day excursion by coach out to the viewing platforms & wooden deck walkways in front of majestic Perito Moreno Glacier. Departing by road you will travel around Lake Argentino & Bahia Redonda. This region is home to a large variety of birds & in particular, black-necked swans, flamingos, wild ducks & coots. Yellow broom sedge (coiron) grasses dominate the open fields as you cross the Patagonian plains. Entering the National Park you’ll notice the striking, different types of trees: ñires, guindos & lengas. Upon arrival at Glacier Perito Moreno the immensity of this awesome river of ice is evident. Perito Moreno Glacier is born high in the Andes cordillera and is a massive river of frozen ice It creaks & groans as it is slowly pushing forward on the journey down a valley some 50km to its terminal face that sits almost the equivalent of a building 24 stories high, above a lagoon that has been made by the ice melt. You will have ample time to leisurely wander the marked wooden deck walkways & the viewing platforms that offer the most stunning views of one of the most magnificent glaciers on the planet. An `optional` short cruise on the lagoon is available, but not included in the excursion. At the conclusion of the day, the excursion will retrace its journey of this morning & return guests to their El Calafate hotels. No activities are booked for today. We do however suggest that guests undertake one of the most spectacular Nautical Safaris in this area called “Todo Glaciares”. You would have to pre-reserve this excursion & you can do so through our tour operator’s office in El Calafate, or through the hotel concierge. In high season availability is limited by high demand, so we recommend to book as far in advance as possible to avoid disappointment. For guests who do not wish to indulge in an outdoor activity, El Calafate township offers a good range of things to do & the many artisan boutique have wonderful handcrafted locally produced products that typify this region of Southern Patagonia. This morning after breakfast, you will check out of your hotel and taken to the El Calafate airport in a private air-conditioned vehicle where you will check in for your flight via Buenos Aires, to Iguazu Falls. Upon arrival in Iguazu you will be met directly outside the baggage claim & by private air-conditioned vehicle and transferred to your hotel. Accommodation here for two nights in Iguazu, with breakfast & local tax included. After breakfast this morning you will be picked up & by way of regular coach, driven to the Iguazu National Park Headquarters entrance. Here you’ll embark on a full day regular excursion of the Argentine side of our planets most majestic waterfalls, accompanied by an English speaking bi-lingual guide. 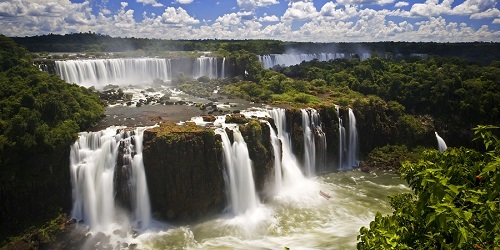 Iguazu Falls is made up of more than 270 cataracts, spread around three large half-moon shaped valleys. There are two basic circuits, an upper & a lower walking trail The upper path leads to incredible panoramic views of the falls from an extensive steel walkway, also an unforgettable experience. The lower trail leads down a series of steel stair cases & viewing platforms to the base of the San Martin cataract where the intense water volume releases a misty spray into the air. As an included part of your Iguazu experience, you’ll be taking the ´People Mover` narrow gauge train which gives guests access along a track of some 3.5km, to the steel walkway that goes out across the mezzanine level of the river to the point where physically Argentina & Brazil’s international border is defined by the thunderous ´Garganta del Diablo` – the Devil’s Throat. At the conclusion of your day’s activities here at Iguazu Falls, you will be returned to your hotel where the remainder of the evening is free of anything that has been pre-organized. This morning you have time at your own pace & timetable, as the flight you are taking to Buenos Aires is not scheduled until this afternoon. You can start with a leisurely breakfast, before packing your luggage & checking out of your room to comply with the hotel requirements. At a pre-arranged time that will be advised to you a private air-conditioned vehicle will collect you from the hotel & transfer you out to Iguazu airport for check in for your flight to Buenos Aires. On arrival to in Buenos Aires you will be met directly outside the baggage claim & by way of a private air-conditioned vehicle transferred to your confirmed hotel. Accommodation here is for one night in Buenos Aires with breakfast & local taxes included. Today you’ll bid farewell to this amazing city and country. A private air-conditioned vehicle will collect you from the hotel & transfer you out to EZEIZA International airport where you’ll board your homeward bound flight. We are able to offer this itinerary to our clients at the rates below for the land only portion of this trip, per person. As this is a customized itinerary we can make any changes you might like to have made, making sure that it will be exactly the kind of journey you have been dreaming of. Please feel free to contact me anytime with any questions you might have or for a free consultation on your next amazing vacation.